When you or someone you love are confronted with legal difficulties, or objectives attainable only through the implementation of legal expertise, it becomes necessary for you to acquire professional assistance that is suited to your specific needs. Facing legal battles are often very daunting to clients and we excel at the ability to provide you with comfort and calm support during such stressful times. 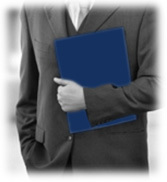 We have the knowledge, experience and tenacity to help you obtain the best possible legal outcome in your situation.